Attracting business from Australian customers is really easy with phone words. You simply have to encode your phone numbers with easy to remember words where you would use matching letters to digits on your phone dial. More and more owners of small Australian businesses are getting on board this new trend. Small business owners will soon realize that using phone words can be seen as good oil when it comes to attracting hordes of customers. This might be the reason why many are keen to hear what 1300EasyDial has to say about using this method for getting more leads and ultimately more sales at the end of the day. Whether you are a Sandgroper, Taswegian or a Banana bender who is hoping to make it big with your business whether offline or online, you can be sure that using phone words will get you many more customers than you ever thought possible. If you made contact with companies like 1300EasyDial and you are at a loss with regards to which phone word you should choose, then you are in luck. Whatever you choose to do, you need to remember to make it as easy as possible for your future customers to remember your business phone number. The last thing anyone needs is to fumble around looking where they placed your number. They would much rather call the first business they locate by paging through their phone book. 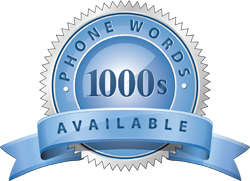 As a small business owner in Australia ourselves, we would like to encourage you to visit1300EasyDial to find out more about phone words and how it will serve your marketing efforts best. You simply need to choose the right phoneword, make your application, and wait for all those extra calls coming your way.